Pump it up and take your workout to new heights with Reebok. 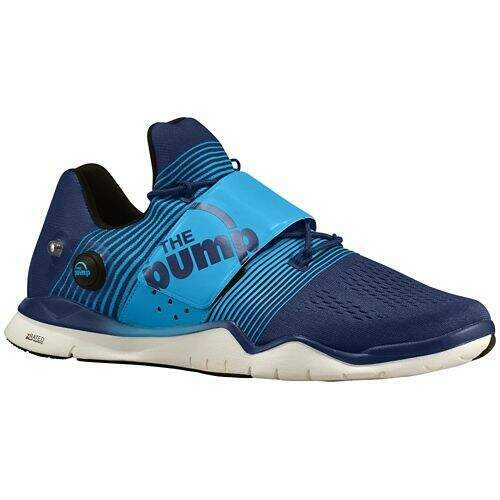 Pump Air Cage can be pumped for collar support to lock your foot down, stabilizing you for any workout. Fusion Sleeve Stretch Fit upper provides a customized fit with durable protection. Mesh in the upper brings style and breathability to your training. VELCRO® midfoot strap adds stability. Carbon rubber traction pads on the outsole give you a tacky grip, so you can up the intensity with confidence. 4mm heel-to-toe drop for a more stable platform.